The global population of red-crowned cranes has been steadily declining, with 2013 population estimates at less than 3,000 and possibly fewer than 2,000. 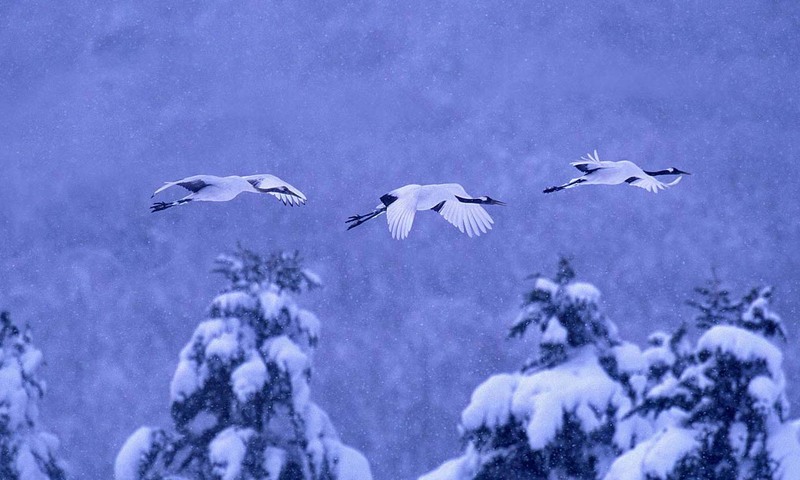 These three are in the air over Japan’s Akan National Park, where winter feeding helps keep the population intact and healthy. The red-crowned crane figures prominently in the mythology and culture of Japan, China, and Korea—it's often seen as a symbol of luck and longevity.